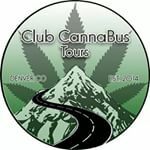 My 420 Tours is an innovative tour company seated at the heart of the cannabis movement — Denver, Colorado. They’ve been pioneering the way since the beginning of recreational legalization in 2014, making My 420 Tours the leader and the real OG of cannabis tourism in the United States. My 420 Tours celebrates the natural properties of a widely misunderstood plant and the ever-growing movement to bring it to light. Join them at the forefront of cannabis travel, and get a glimpse into the cutting-edge world of legalization in Colorado and beyond!